Nice but quite obviously traced. 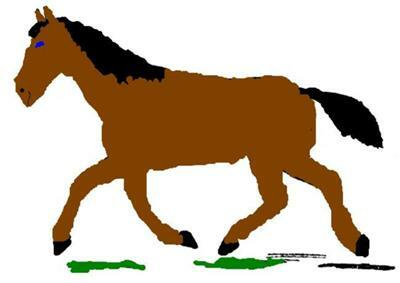 Great horse but anyone can tell it was traced. But good job painting it! Great job!!! It's really good considering that paint is so hard to work with!! But I love how you did it and the blue eye is really cute! I'm not great at drawing horses not even to mention paint!!!! That is very good! Paint is very hard to control. You did a great job! nice job, lily! I really like the blue eyes!